Posted on 2019-03-26 10:13:56 GMT+0000 by Neil Godfrey. This entry was posted in Apologetics. Bookmark the permalink. Thank you for sharing this, Neil! Yeah, this its a point we’ve made here many times, that in practice virtually everyone treats theology degrees like history degrees, even though they are nothing at all like history degrees. Theologians have managed to pass themselves off as historians. This is reinforced again in the recent History Channel special: Jesus : His Life, which also heavily features theologians who are passed off as historians. We can never overlook Michael Grant, the well-known and very prolific ancient historian who wrote Jesus: An Historian’s Review of the Gospels in which he relied upon and yielded entirely to the studies of the theologians: https://vridar.org/tag/grant-jesus-historians-view/. Yes, Marcus is a “professional historian” insofar as he hires himself out for research into local history of organizations, buildings, etc. His degree in history, however, appears to be nothing more advanced than whatever history he studied for his BA at Cambridge. Of course the Cambridge adds some prestige, but I suspect my own BA had at least as many history units as his, and the University of Queensland is no minor university by world standards. Lying for Christ – the 11th commandment. I understand that Tarico is primarily a blogger, so she may not know that journalistic standards demand that an interviewer disclose any personal or professional connections to the interviewee. Tarico has co-authored pieces with Fitzgerald in the past. In her writings, Tarico goes to great lengths to promote the work of Fitzgerald and Richard Carrier to the exclusion of nearly all other mythicists — even when the latter either had greater academic standing (everyone wrt Fitzgerald) or had priority in formulating the positions discussed (nearly everyone wrt Carrier.) This seems curious, and I, for, one would like to see a full and honest disclosure from Tarico of any personal or professional entanglements she has with those two. You might like to contact Valerie with your concern. I think she is more than a blogger, though. She regularly writes for other publications, both online and hard copy. All the same I do want to be ethical about disclosures. What would you suggest in this circumstance? Hi Valerie, thank you for responding directly. I’m thrilled that an ‘agnostic’ such as yourself takes a keen interest in mythicism and is eager to share it with the public, so I hope I haven’t dampened that with what might be viewed as minor quibbles. You do have a professional relationship with David Fitzgerald, in that you co-authored published articles with him. That collaboration should have been disclosed when introducing your interviewee. Nevertheless, I apologize for my assumptions. Your piece struck me as a transcript of a casual conversation between acquaintances, which led me to wonder about your connection. Also, whereas the title promised an exposé of Strobel’s duplicity, and the piece began with an allusion to his other critics, the content featured Fitzgerald opining on a variety of figures and subjects. Either approach would be fine, but I’d venture the former would appeal to a broader audience. As a fan of neither Fitzgerald nor Carrier, I believe you could find much better sources. But even if you wish to continue relying on them, expanding your reading list would go far to sate your curiosity about mythicism. I see you are already familiar with Earl Doherty and Robert M. Price. Two fascinating and accessible works I heartily recommend are Tom Dykstra’s Mark: Canonizer of Paul and Hermann Detering’s The Fabricated Paul. (Both bargains on Kindle.) An influential early work, Edwin Johnson’s Antiqua Mater (in the public domain at archive.org), provides a refreshing relief from the often turgid prose of 19th century ‘mythicists’. René Salm’s Mythicist Papers (http://www.mythicistpapers.com) includes a small library of 19th & 20th century mythicist works. Finally, I’d observe that Jesus mythicism — more precisely, research into the ahistoricity of the New Testament — has scores of contributors stretching back for two centuries, most notably among the Tübingen School and Dutch Radicals of the 19th and early 20th Centuries. It also contains what could be described as several ‘gradients’ with many, many points in dispute. A few Jesus mythicists even retain faith in a spiritual Christ! Closely bordering the mythicist circle, one finds scholars who believe an historical Jesus existed, albeit one who bore almost no resemblance to the one depicted in the NT. Intertwined with the historicity of Jesus of Nazareth is the historicity of the Epistles and Acts, and many scholars who accept the former reject the latter in whole or part. This is a fascinating and multi-faceted subject. I wish you happy hunting in exploring it and sharing it with the public! • Strobel cites Paul L. Maier, historian and novelist. Strobel, Lee (1998) [now formatted]. The case for Christ : a journalist’s personal investigation of the evidence for Jesus. Zondervan Pub. House. ISBN 0-310-25974-6. Maier, Paul L. ap. “Historian Interview: Paul L. Maier”. Apologetics 315 podcast. 13 December 2010. [Per the argument that Jesus never existed] anybody who is using that argument is simply flaunting his ignorance, I hate to say it but it’s about that bad. We have more documentation on Jesus Christ then anybody in the ancient world as far as that’s concerned. There is no question whatever in the mind of any serious scholar anywhere in the world that there certainly was a historical personality named Jesus of Nazareth. Now you can argue about whether he [Jesus] was the son of God or not, you can argue about the supernatural aspects of his life. But in terms of the historical character there is absolutely no evidence to the contrary and all the evidence is in the favor and I just can’t stand the computer blogs and so many other would-be authorities trying to use this argument: “He’s only a myth, he never lived.” Well that’s simply ridiculous on the face of the facts. NB: Per the above quoted text, some parts are Strobel’s quotes from an interview with Edwin Yamauchi about extra-biblical evidence. Yamauchi, Edwin M. “Easter: Myth, Hallucination, or History?”. leaderu.com. This article, used by permission of the author, first appeared in two parts in Christianity Today on March 15, 1974 and March 29, 1974. I have tried to show that theories attributing the Resurrection of Christ to the borrowing of mythological themes, to hallucinations, or to alternative explanations of the empty tomb are improbable and are also inadequate to explain the genesis and growth of Christianity. Ferguson, Matthew (24 February 2013). “Faith-Based “Universities”: Degree-Granting Think Tanks?”. Κέλσος. 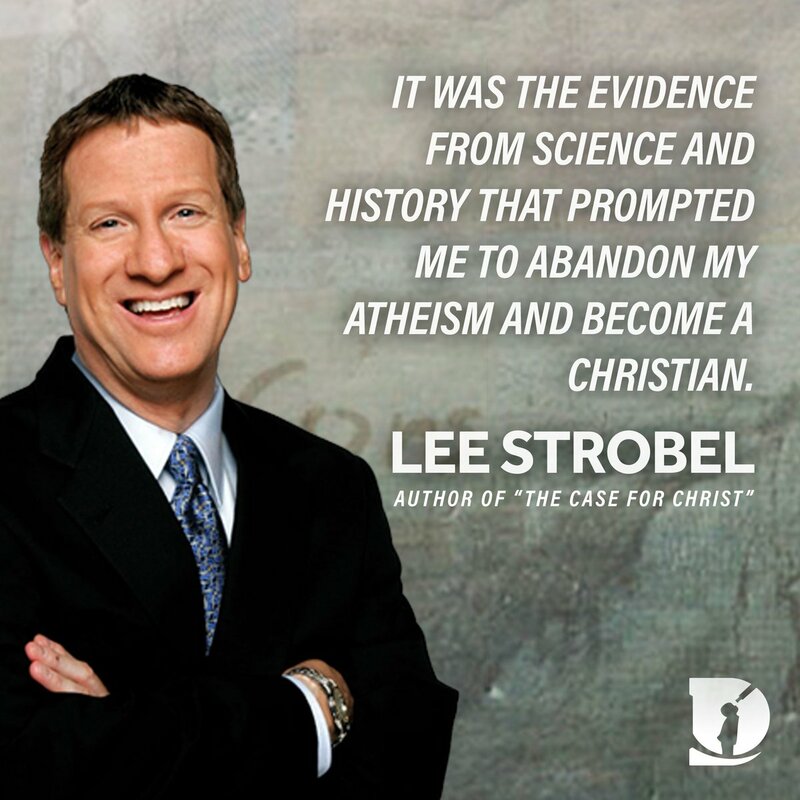 [If Lee Strobel had] gone to a secular university–such as the University of North Carolina at Chapel Hill–he could have easily found scholars who disagreed with [Craig] Blomberg about the historical reliability of the Gospels–such as NT scholar Bart Ehrman, who is the author of Jesus, Interrupted: Revealing the Hidden Contradictions in the Bible. From my own research in ancient history, I was well aware of the fact that there are many other scholarly authorities, outside of faith-based seminaries and universities, who would strongly disagree with the Christian scholars whom Strobel was interviewing in his book.